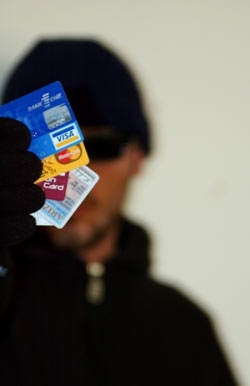 The need to prevent identity theft is something you think only happens to other people. As we know identity theft is a fast growing crime, here are 14 ways to prevent identity theft and protect you identity. Protect your social security number. Memorize it. DO NOT carry your Social Security card in your wallet. Do no give it to anyone over the phone or on the Internet. Change your on-line passwords to your bank accounts every six months. Do not send any personal information to ANYONE over the Internet, especially in emails. Never click on links in an e-mail to access a web-site where you have an established account. The link can take you to a phishing / fraudulent site. If you need to access your account, always type the web address by hand. Remember let me say it again don’t respond to any e-mail that asks for personal information. Any shop which requires that you show ID along with your credit card is putting you at risk and is violating his merchant’s agreement with Visa and MasterCard. Limit the amount of personal information on your checks. For example, do not include your Social Security Number, driver’s license number or telephone numbers on your checks. A criminal can use this information to literally steal your identity by applying for a credit card or loan in your name, or even open a new checking account. Never write your credit card number on a check. Never give your checking account number to people you do not know, especially over the telephone. Be especially suspicious of unsolicited telephone sales solicitations. Scam artists can use your checking account information to make withdrawals from your account without your authorization and you may end up being responsible. Think about not using checks for face-to-face purchases. Instead use a debit card linked to your checking account. Most merchants want several pieces of identifying information recorded on your personal check (i.e. driver’s license number, SSN, home telephone number, etc.). Using a debit card means that you don’t need to disclose your personal information to make a purchase. Use checks only to pay established accounts when you send money through the mail. Buy a paper shredder, since identity thieves and other criminals often attempt to gather information about their intended victims from their trash. Think about the type of information that may be found in your trash like bank statements, credit card statements, personal letters, invoices, applications, etc. Shredders if properly used make it very difficult or impossible to gather personal information about you and your family from the trash. I recommend a shredder which cuts the paper vertically and horizontally. Dispose of credit card slips securely.